Stainless steel is one of the most popular choices for kitchens sinks for various reasons. Not only is it easy to clean but it also has a distinctively professional look. However, before you decide on the details there are important factors you need to consider. The experts of Renovations Ottawa were kind enough to help us discover what to consider when purchasing a sink, here are 4 of their tips. Tip 1. Higher gauge steel is less resilient to dents and vibration. Why is vibration important? Because of the effect the garbage disposal can have on the sink. 22-gague metal and higher exposes you to issues like the aforementioned dents and vibration. Stick with a 16-18 gauge sink for the best result. Tip 2. Consider the depth of your basin. Choosing a 6-inch basin will leave you with spare cash but not much in the way of efficiency. Contractors in Ottawa recommend deeper basins of up to 10 inches. Although they are more expensive they hold more in the way of water and dishes. 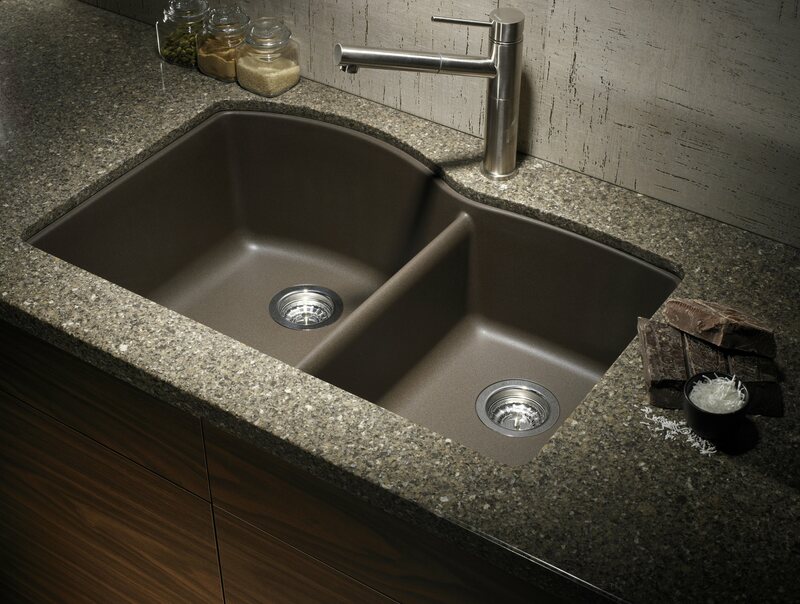 Additionally, consider the shape of the corners of your sink as this will ultimately affect cleaning and drainage. Softer angles are the best. Tip 3. Use a pad or undercoating to reduce noise and condensation. Running water and noisy silverware affect the strength of your basin, so use a pad to cushion the vibration. The quieter the sink, the higher quality it is. Tip 4. Choose a 300 series for corrosion prevention and stain resistance. It is a good idea to look for sinks with 18 % chromium and 8% nickel if you want the strongest quality available. Sparkling stain finishes are the best at preventing stains and patina over the course of your sinks life. Use a magnet to determine if your sink is 300 series. If it sticks, it’s not.